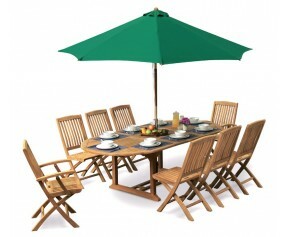 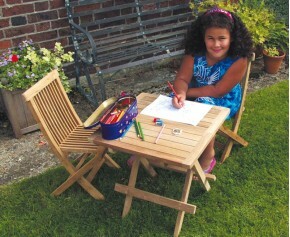 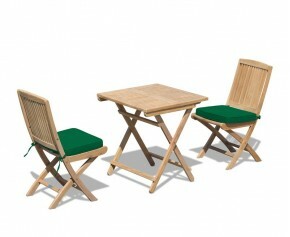 For the highest quality al fresco dining, choose from our wooden side chairs with tables. 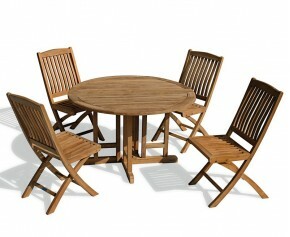 Handcrafted in the finest materials, our outdoor occasional chairs are made out of grade-A teak, assuring extreme durability and longevity. 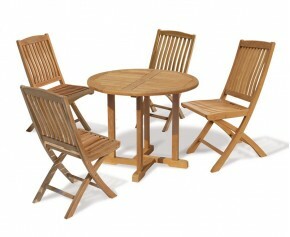 Able to remain outdoors all year round no matter the weather, our teak side chair dining sets require minimal maintenance and will provide you with long lasting fruitful use for years to come. 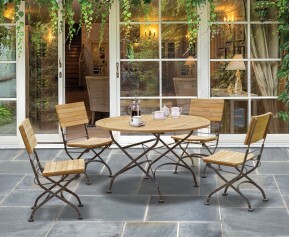 From our contemporary Canfield and modern Monaco, to our classical Bistro and Lutyens, we offer a wide variety of outdoor dining sets for you to choose from. 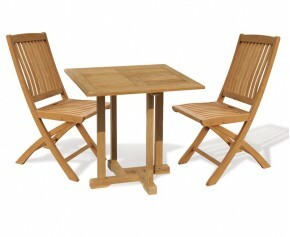 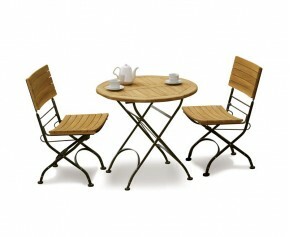 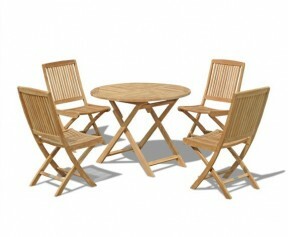 However, we can’t expect to meet everyone’s needs perfectly even with these stunning wooden side chairs with tables. 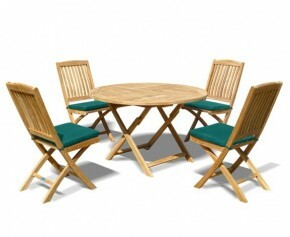 That’s why we are proud to present our bespoke furniture service. 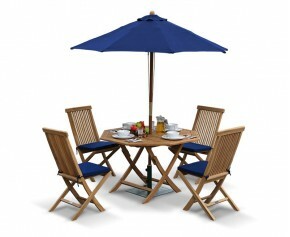 Craft your perfect garden dining set by selecting the “product customisation” option on any product page, list the changes you require and our master craftsmen will get to work on your dream furniture. 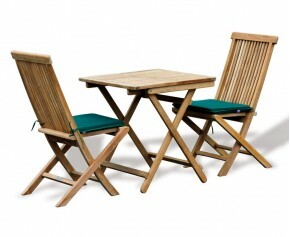 Don’t miss out on your perfect outdoor occasional chair. 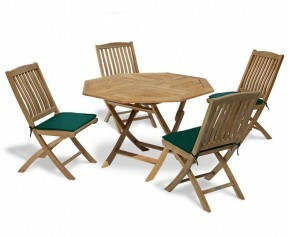 For those who have the odd family and friend get together over the summer, we are proud to present our finest teak side chair dining sets. 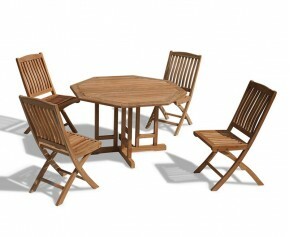 Built from our high-quality grade-A Java teak, your guests will never feel like they are missing out on the full teak luxury experience, as these outdoor occasional chairs are constructed with the same care and attention as our bigger pieces. 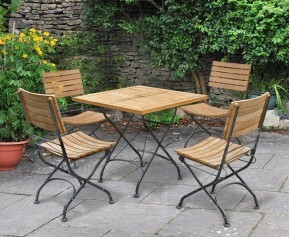 Presenting a seamless mixture of elegance, refinement and convenience, these wooden side chairs and tables are perfect for small to medium sized gardens and can be left outdoors all year long for maximum hassle-free ownership.